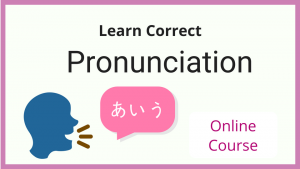 Let’s learn Japanese pronunciation in this article. I will cover all the basic 46 syllables and how to pronounce them each in short lessons below. 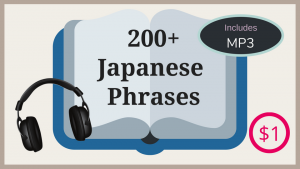 Before getting into our first lesson, let’s hear how the Japanese language sounds. Here is the Japanese version of an old folk song in Scotland, Auld Lang Syne. This song was introduced to Japan around 1880. A Japanese poet, Chikai Inagaki, wrote the lyrics and children began learning the song in elementary schools. Since then, people all over Japan cherished the song and we usually sing it for farewell. Ok, let’s do this! I’ve divided the 46 sounds into four videos below. Take one lesson at a time. Do not rush. It is the key to success when it comes to language learning. Each lesson includes sections where you practice pronunciation. Be sure to repeat after me and say each word aloud. Do your best to mimic my pronunciation. Practicing aloud is vital to learn pronunciation. Japanese has only five vowels. It is relatively small compared to many other languages. I also cover the consonant “K” group and only one independent consonant we have in Japanese, the nasal “N” in this lesson. There are three tricky sounds in this lesson – Shi, Chi and Tsu. Pay attention! This lesson is relatively simple and easy. There is just one syllable, “Hu” (sometimes spelled “Fu”) that you have to be careful with. I explain why in the lesson. This is the most challenging lesson among the four thus far. Be extra cautious with the sounds, Ra Ri Ru Re Ro! In my teaching career, students whose native language is English especially struggled with those five syllables. I did my best to explain how those sounds are different from English “R” sounds. 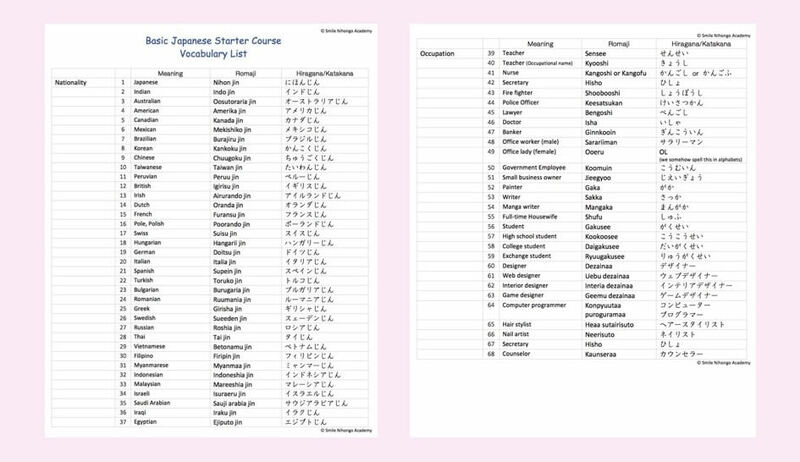 Free Japanese Course for You! If you enjoyed these lessons and want to learn more than just pronunciation, come join a Mini-course (free) I have for beginners. I will send you 5 lessons via email to your mailbox. You can watch each lesson at your convenience and will learn the basics of Japanese grammar within an hour in total. Go to this page and read more about the free course. The course also provides a PDF material that you can download. Many students are having fun learning Japanese in the mini-course. There are many Japanese online courses out there but the only way to see if you will learn from the course is to try it for yourself. This free course will be a great opportunity for you to check if my teaching style matches your learning style. Join the course and let me know what you think!